solicitors trying to sell me things? 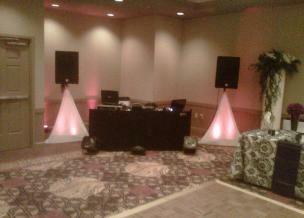 outside of SN DJ Entertainment will ever contact you based on the information you provide in the form. Entertainment Director, Stacey Noles, at stacey@sndjpensacola.com. Can I send you a text message to find out more information about your services? well. We return all texts, e-mails, and phone calls within 24 hours. contract at the first meeting. What all events do you normally perform? 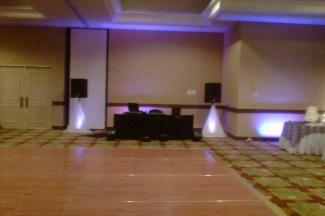 just about all major gatherings and events which would require entertainment, a PA system, and emcee! What all is included in your wedding packages? channel. What are those "white things" under the speakers and what are they used for? bare legs of the tripod. prior permission to give their information out. I'm looking for a DJ on a regular basis, do you do weekly and monthly contracts? do a weekly, monthly, or a contract for a specific amount of time. performance, the setup, and the light show? our setup and how we normally do things, so we do offer the next best thing. 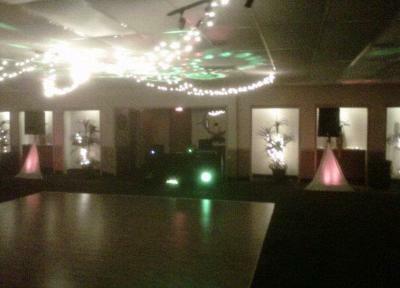 We have many "gig log"
you would like to see some of our videos from wedding receptions and other events. long has he been on the radio? him playing your favorite songs on WMEZ, Soft Rock 94.1 Sunday from 10am until 2pm. Do you do campaign events such as election night parties and campaign rallies? to politics, but we definitely would provide entertainment for campaign parties like we do other events. I would like to schedule a consultation, when are you available to meet with me? evening. We can also schedule consultations on the weekend if that would work out better for you. and we'll work out a date / time that is convenient for you no matter what your schedule may include.